In my first blog in this Series, we reviewed tips to work with a Visual Learner. This blog (#2 in the series of 6) will focus on the Auditory Learner. Do you have a student who loves to hear how pieces create different sounds when they are played different ways? Do you have a student who says “Listen to how I changed this piece” and then plays their piece using different rhythms and pitches? Do you have a student who would rather listen to you explain a concept then read it themselves? Then you might just be teaching an Auditory Learner (or a student whose main learning style is Auditory). An Auditory Learner usually likes being read to. They often memorize by repeating things aloud. They love music and often hum or sing to themselves. The Auditory Learner likes being around other people and enjoys in sharing conversations. Tip #1 - An Auditory Learner loves to hear the change in sound when playing a Major piece in a minor Pentascale, or when playing a minor piece in a Major Pentascale. (OR whole step – half step – whole step – whole step). Tip #2 - An Auditory Learner benefits from hearing how pieces sound when played in different Pentascales. 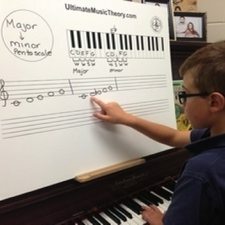 They are usually really good at hearing the difference between the Major and minor patterns. This piece is called "Off to School" from page 112 in the Prep 1 Rudiments Workbook. Play “Off to School” in C Major Pentascale and then repeat it in c minor Pentascale (play all the E’s flat). Did the pieces sound the same or different? Which piece sounded like you are happy to be going off to school and which piece sounded like you were sad to be going off to school? Alexander is an Auditory Learner. He finds it fascinating to hear the difference in the sound when he transposes his pieces into different Pentascales and into different Tonalities. When transposing was thrown at me in Grade 8 piano, it caused me to panic and have an anxiety attack! I didn’t “get” it. 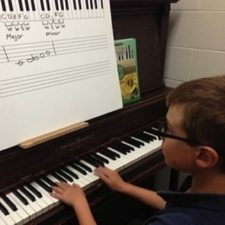 Thanks to learning about Pentascales in Prep 1 Rudiments, Alexander is already an accomplished “transposer” and he isn’t even in Level 1 piano yet! Since learning about Pentascales in Theory, Alexander enjoys playing his piano pieces not only in different Pentascales but in different Major and minor Pentascale tonalities. This is also developing his Ear Training by helping him with pitch patterning and recognition. Pentascales are the building blocks of the Circle of Fifths. By starting a beginner student in the Prep 1 Rudiments Workbook, you are creating a foundation for music. Here is a tip that I find very helpful. When teaching piano, method books often refer to "positions" (like C Position). I cross out the word Position and write Pentascale! 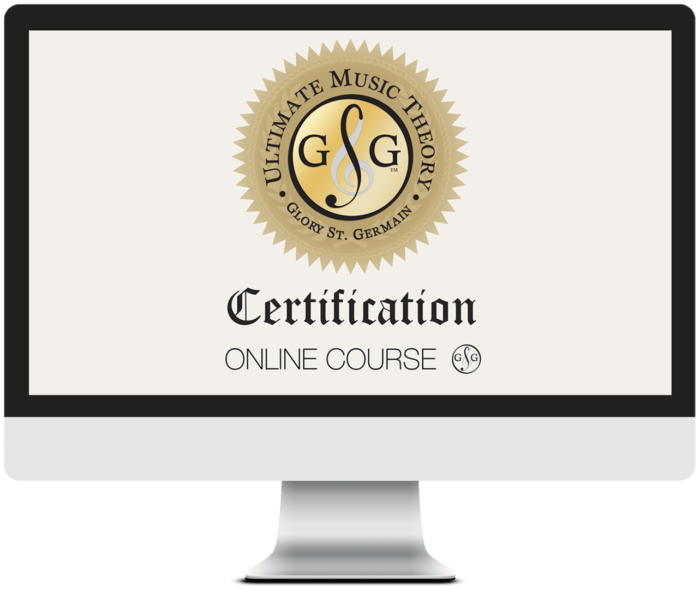 If you teach using the Royal Conservatory of Music Syllabus, be sure to add the New Supplemental Series to your Ultimate Music Theory Workbooks. A student in the UMT Prep 1 Workbook will also be working in the Prep Level Supplemental Workbook. They will then complete the Level 1 Supplemental Workbook before moving on to the UMT Prep 2 Workbook. Your Auditory Learner is going to LOVE exploring the different Music History Time Periods and the Instruments of the Orchestra! And we make it so simple for you! Discover and explore how to teach to all your students!